No. 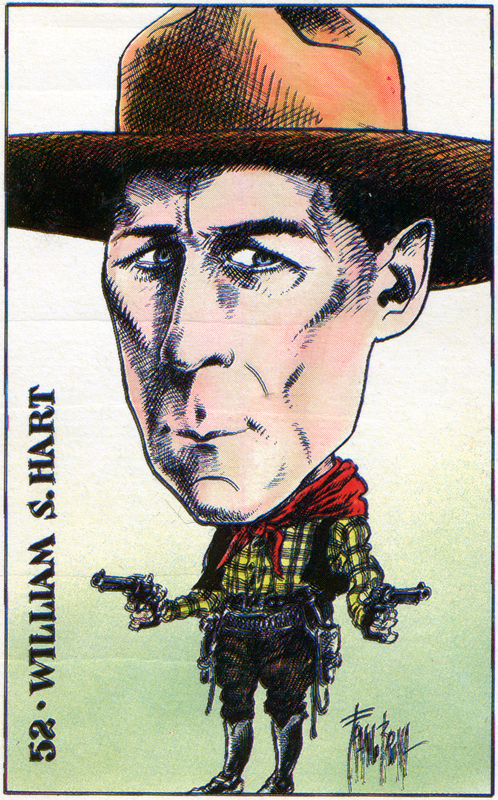 52 in a series of 100 movie star cards from Italy in 1971 (only one featuring "Two Gun" Bill Hart). Series title was "Once Upon a Time" and included a corresponding album to hold the cards. Card stock, approx. 2¾"x4¼". Back is blank. Artist unknown. LW2299: 9600 dpi jpeg from original card purchased by Leon Worden.